Stock status is current as of 4/22/2019 12:07 AMET. Print professional-quality documents with this dependable Dataproducts Fuser Assembly for HP. With its extremely high page yield up to 200,000 there's no need for frequent fuser replacement. 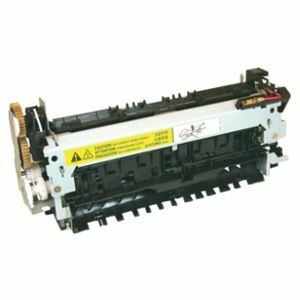 This fuser assembly is compatible with cHP LaserJet 4100, 4100N, 4100DTN, 4100T, 4100TN, 4100MFP, 4101MFP. Buy Dataproducts Fuser Assembly for HP today! 14.8" x 6.8" x 7.5"